US President Donald Trump's "America First" slogan has come out strong in the latest Special 301 report, which slams several countries including China, India, Canada and Mexico for lax intellectual property and enforcement that hinders US trade. The annual review is compiled by the United States Trade Representative and details the state of IP enforcement in countries that trade with the US. The latest version has reiterated Trump's campaign pledge for fair trade that does not disadvantage the US and its companies, and "reflects the resolve of this Administration to call out foreign countries and expose the laws, policies, and practices that fail to provide adequate and effective IP protection and enforcement for US inventors, creators, brands, manufacturers, and service providers". Thirty-four trading partners were singled out with concerns over their IP protections for US goods and companies, with 11 of those listed as priority countries to watch. "The theft of IP has resulted in distorted markets and unfair trade practices that harm American workers, innovators, service providers, and small and large businesses," the USTR said in a statement. China continues to be placed on the USTR priority watch list for its part in "widespread infringing activity" that includes "rampant online piracy and counterfeiting" and the export of these fake goods. The report also notes the requirements imposed on US firms who want to access the Chinese market such as the need to develop their IP in China or transfer their IP to Chinese entities. 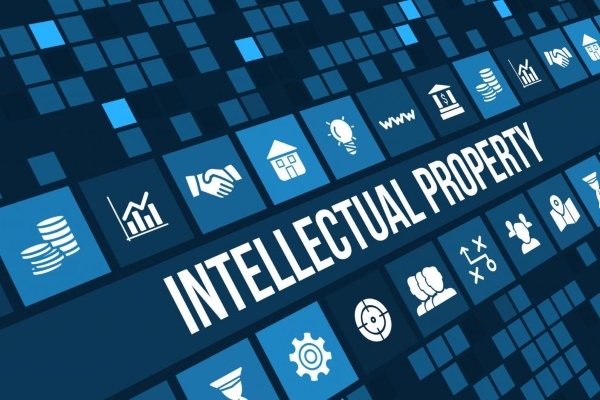 India has also been called out "for lack of sufficient measurable improvements to its IP framework", which have "negatively affected US right holders". Specifically, the report highlights the issue around receiving patents, particularly for pharmaceuticals and software, and insufficient enforcement action and policies, as well as suggesting the legal framework fails to incentivise creativity and commercialisation. Both countries are criticised for their "inadequate protection for trade secrets", which "puts US trade secrets at unnecessary risk". US trade partners Canada and Mexico are also on the receiving end in the report, which claims the countries have inadequate and ineffective border enforcement against counterfeit and pirated goods. Canada is singled out for its "restrictive patentability criteria" that undermines US' export growth, while Mexico is challenged for not addressing copyright piracy and for introducing budget cuts that have affected IP enforcement. The "troubling trends" in the proliferation of counterfeits highlights that there are issues with IP protection and enforcement, the report notes. "Many countries do not provide penalties that deter criminal enterprises engaged in global trademark counterfeiting operations," the report says. "Even when such enterprises are investigated and prosecuted, the penalties imposed often are low. Rather than deter further infringements, such penalties merely add to the cost of doing business." The report adds: "The United States continues to urge trading partners to undertake more effective criminal and border enforcement against the manufacture, import, export, transit, and distribution of counterfeit goods." The report says the Special 301 report is a "critical component of the Administration's aggressive efforts to defend Americans from harmful IP-related trade barriers". It adds that the Trump Administration plans to seek improvement of IP protection and enforcement of US IP rights in other countries as a key objective and top trade priority. Meanwhile, the report is also particularly scathing about the "growing problem" of counterfeit drugs, which are "manufactured, sold, and/or distributed in numerous trading partners, including China, Guatemala, India, Indonesia, Lebanon, Peru, and Russia". It further notes that IP protection issues and other trade issues, such as tariffs, in many countries hinders market access of the US pharma and medical device market, which can raise healthcare costs and encourage local growth in counterfeits. In response to the report, Pharmaceutical Research and Manufacturers of America (PhRMA) released a statement saying that IP protection and access to overseas markets was essential for the continued success of the US pharma industry, while naming and shaming several countries for lax IP protection and enforcement. "As today's Special 301 Report makes clear, India, Indonesia and other countries are failing to protect American ideas, brands and inventions," PhRMA said. "US free trade agreement partners like Canada and Columbia are among the worst offenders," it adds. PhRMA criticised India and Indonesia as not providing patents for many kinds of new medicines, while Canadian courts, it said, had "struck down" patents on 25 medicines that have benefitted Canadian patients. The pharma body claimed Colombia failed to value and protect innovation and was slowing the launch of new medicines by delaying review of biopharmaceutical patents, while the Australian Government was discouraging effective patent enforcement by seeking hundreds of millions of dollars in damages from biopharmaceutical innovators that pursued unsuccessful patent claims. The Biotechnology Innovation Organization (BIO) also welcomed the report, saying its members "rely heavily on the strength and scope of their IP" while noting the raft of IP-related challenges including inadequate legal protections and enforcement issues that needed to be addressed. The countries on the priority watch list include: Algeria, Argentina, Chile, China, India, Indonesia, Kuwait, Russia, Thailand, Ukraine and Venezuela. The countries on the watch list include: Barbados, Bolivia, Brazil, Bulgaria, Canada, Colombia, Costa Rica, Dominican Republic, Ecuador, Egypt, Greece, Guatemala, Jamaica, Lebanon, Mexico, Pakistan, Peru, Romania, Switzerland, Turkey, Turkmenistan, Uzbekistan, Vietnam.